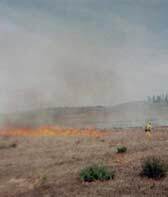 Central Coast Wilds implements and manages ecological restoration plans, vegetation management plans, habitat conservation plans and large commercial landscapes. CCW oversees site preparation, soil and plant salvage, exotic pest plant removal, mowing, site-specific seed collection, plant propagation, irrigation and planting operations. We also implement and oversee long-term maintenance operations in order to insure the success of our restoration & landscape projects. 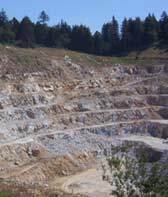 We have experience in all of the ecosystems on California's central coast, including coastal terrace prairie, maritime chaparral, coastal scrub, mixed evergreen forest, Santa Cruz sandhills, redwood forest, wetland and riparian habitats. 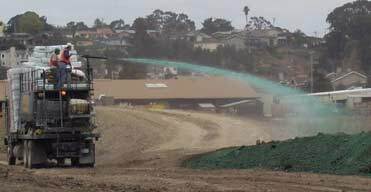 Central Coast Wilds contracts and oversees hydroseeding of native seed mixes for bank stabilization and revegetation projects. 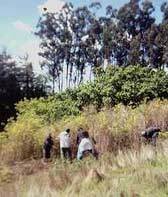 Long term erosion control planning requires proper plant species selection. Native perennial bunch grasses are an excellent choice for erosion control. Unlike non-native annual grasses, native perennial grasses are long lived and deep rooted plants that provide permanent cover. Because of their rooting ability, native grasses provide increased water infiltration rates and less over surface flow, thus reducing erosion. 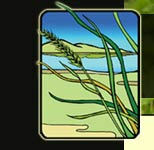 Most native grasses are also drought tolerant, remaining green during the dry season, long after annual erosion control grasses have turned dry and brown. 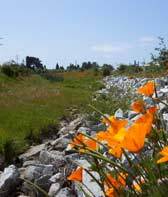 Central Coast Wilds offers a native erosion control mix consisting of three native species that germinate and develop rapidly. This mix performs well under a variety of environmental parameters: sun/shade, wet/dry, or sandy/clay soil types. 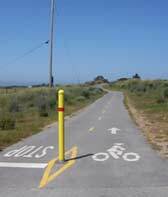 Central Coast Wilds installs biotechnical erosion control systems for slopes and stream banks. Biotechnical erosion control combines vegetated and structural strategies utilizing techniques including straw rolls, willow wattles, brush layering and vegetated riprap, gabions and rock walls. 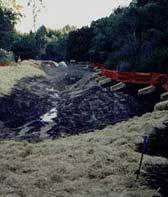 Biotechnical systems provide cost effective solutions to erosion control problems that enhance habitat without compromising the structural integrity of public works projects. 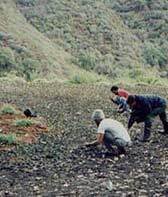 Biological diversity is being threatened by the invasion of nonnative (“exotic”) plants. An exotic plant is simply a species that has been introduced into an environment different from that in which it evolved. While not all exotics are a problem, some are invasive; these are capable of displacing other species, thereby leading to their demise. Having left behind the predators and competitors that kept them in balance with other species at home, invasive exotics can proliferate covering our beaches, meadows, and forest floors, quietly eroding the underpinnings of our native ecosystems by hastening the extinction of one species after another. The main invasive species that we eradicate are: Brooms, Pampas grass, Cape ivy, English ivy, Ice plant, Periwinkle (vinca), Eucalyptus, Acacia, and Himalaya berry.